You can't be everyone's favorite Italian Plumber without the right facial hair! You need an awesomely thick and insanely black mustache. How else do you think Mario was able to leap over all those dopey Koopa Troopas and angry Goombahs day in and day out? Did you think it was all skill or some sort of amazing luck that helped him overcome adversaries such as Donkey Kong and the dreaded King Koopa? Well surprise, surprise! It was all in the stache. 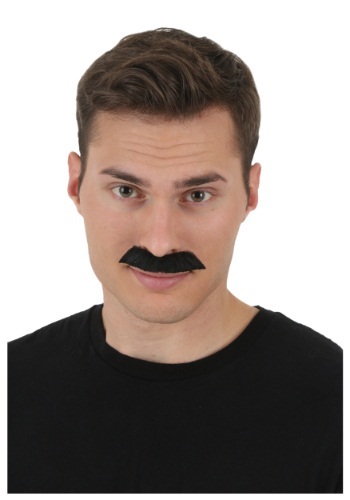 As soon as you stick this bad boy on to your upper lip you'll be ready to save princesses, left and right! You'll suddenly feel as if you can jump higher than ever before. You may also get the sudden urge to shout out a good “Yahoo!” every now and again too... So if you're ready to stomp all over Bowser's evil plans and be the hero the Mushroom Palace needs, smack this stache on your face and hop into action!